To the average civilian, “typhoon” is a word in the dictionary or a title for a “sarong-filled” movie. But to sailors and especially aviators, who have seen them, typhoons are massive destructive forces to be given a wide berth, if at all possible. 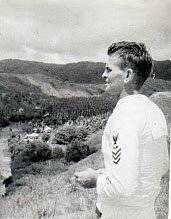 A few years ago the peoples of the various West Pacific island groups received scant warning before a typhoon struck their locality. In many cases, the high winds and resultant tidal wave created by the fierce intensity of the mammoth weather mass left scores of dead and wounded and unbelievable damage in its wake. 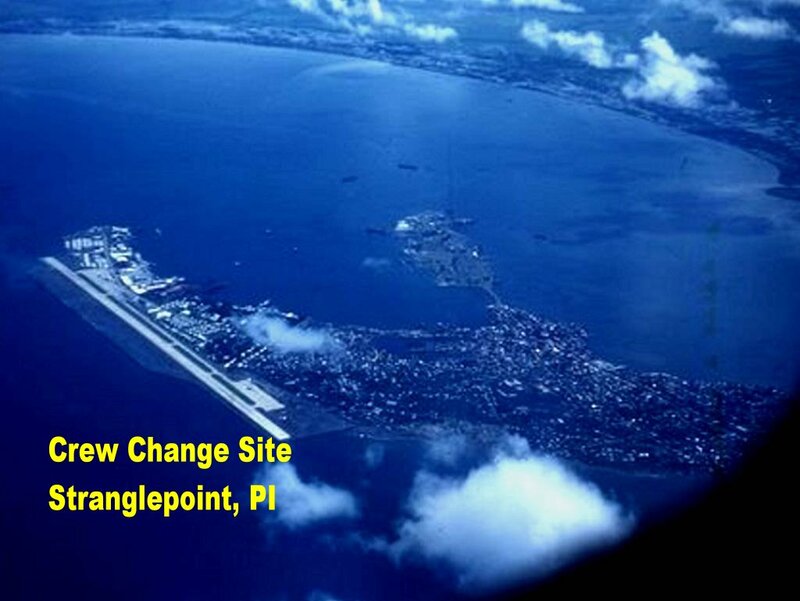 With the development of the U.S. Navy bases throughout the Pacific area came a need for not only “standard” weather reports, but also observations and continuous checks on typhoons which could endanger the lives of personnel and damage facilities at those activities. 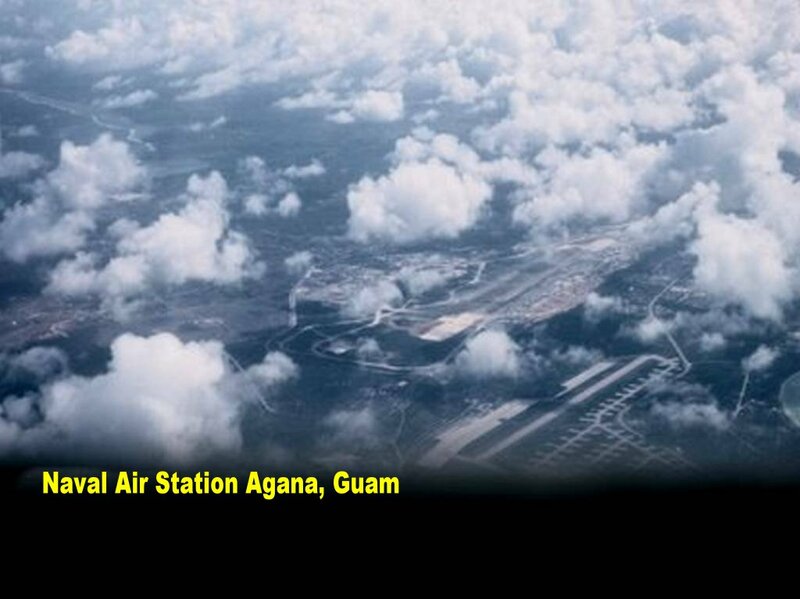 “Typhoon hunting” in the Guam area is the responsibility of Weather Squadron ONE, based at Naval Air Station, Agana. Under the command of CDR D.S. 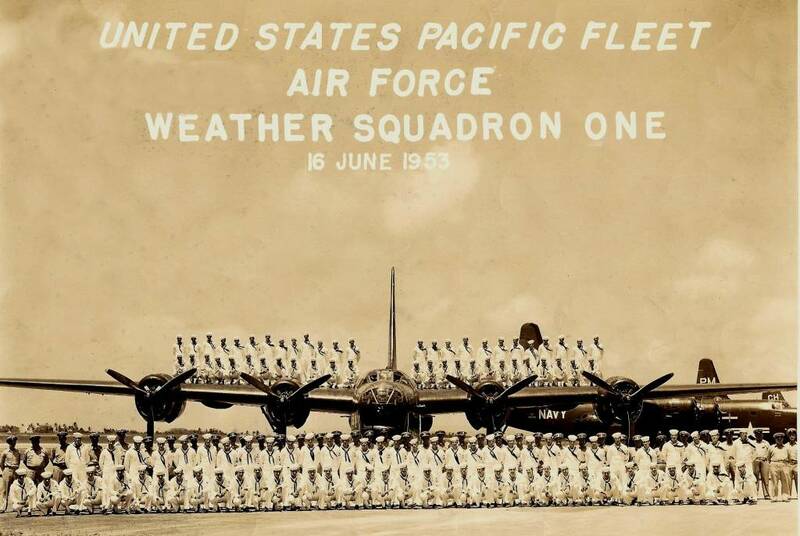 Silver, the crew of VJ-1 locate position and determine the path of all atmospheric disturbances in their area. They shove their Privateers through the “eye” of the storm to determine major wind velocities and conditions within the air mass. 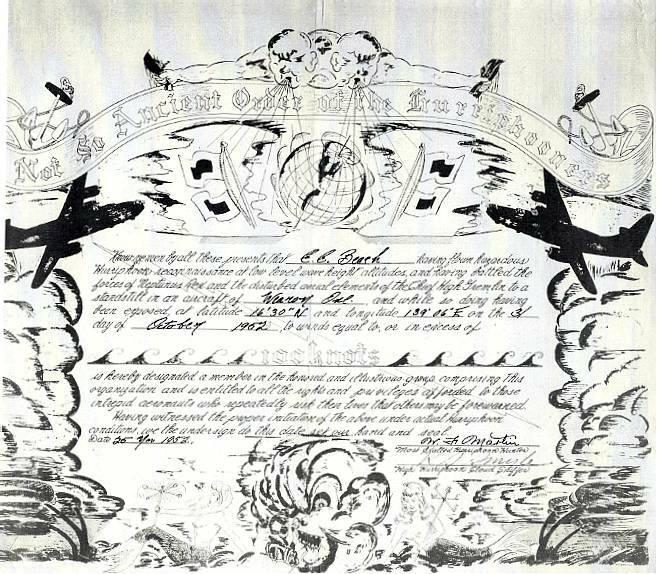 Aerographers of the weather patrol crews chart wind velocity, temperature, structure of the storm, and condition of the seas for the information of shore bases, ships, and aviation. A constant check of the typhoon, with regular radio positions sent to weather central, permits an accurate forecast of where the storm will go and what can be expected when it gets there. Through the use of this information, often hours or days in advance, the various stations have time to “batten down” for the coming storm. If a ship or aircraft is caught in the storm, the information concerning the storm’s “track” and location of the “eye” assists the pilot or navigator in setting a course which will minimize danger to his craft. In the off season for typhoons, Weather Squadron ONE flies mercy missions for the Rescue Coordination Center, training missions for the crews, and does air-sea rescue work in addition to their constant observation of atmospheric conditions. 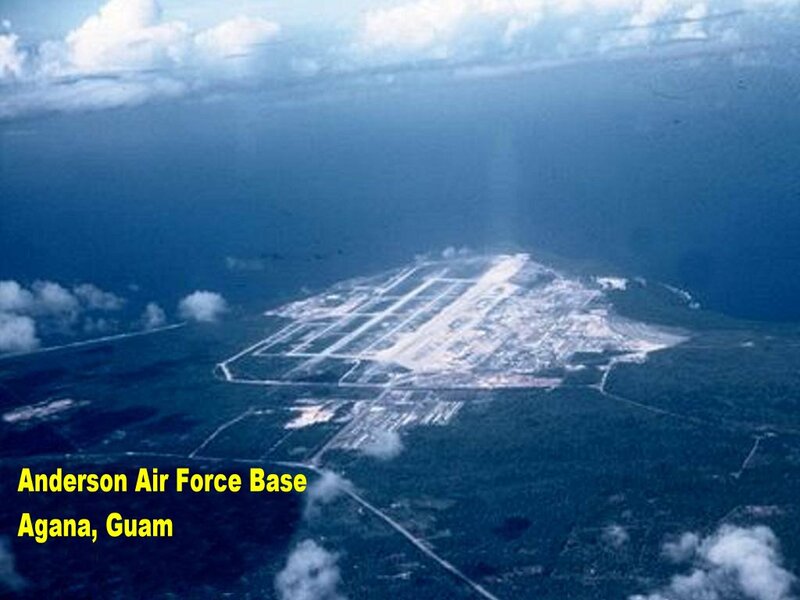 One of their recent missions involved a civilian needing medical attention on one of the small islands north of Guam. 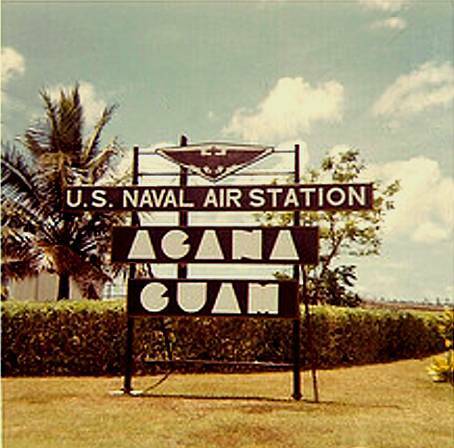 A radio message to Guam RCC, was relayed to VJ-1 Operations. 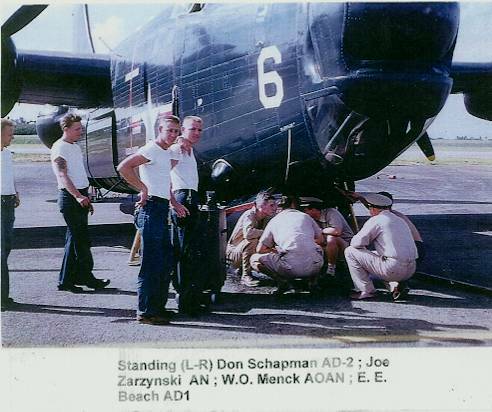 Position reports indicated that the P4Y-1 of LCDR J.P. Lang was in the area. 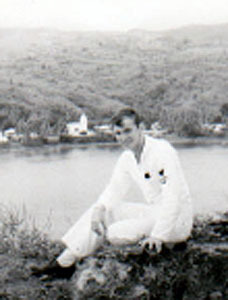 A brief radio message sent the patrol plane to the area and an hour later the sick native was in the Naval Hospital at Guam. 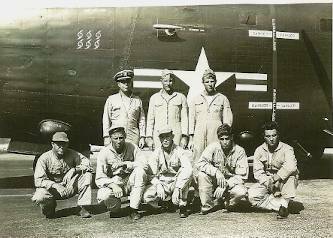 In one three-day period the squadron had half its planes aloft searching for three different ships. Most of the flights were set up late in the day and ground crews worked throughout the night to have the planes ready for early morning take off. 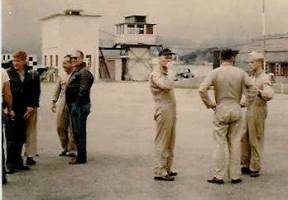 At pilot and crew briefings many “volunteer” lookouts stood ready to assist when they could. 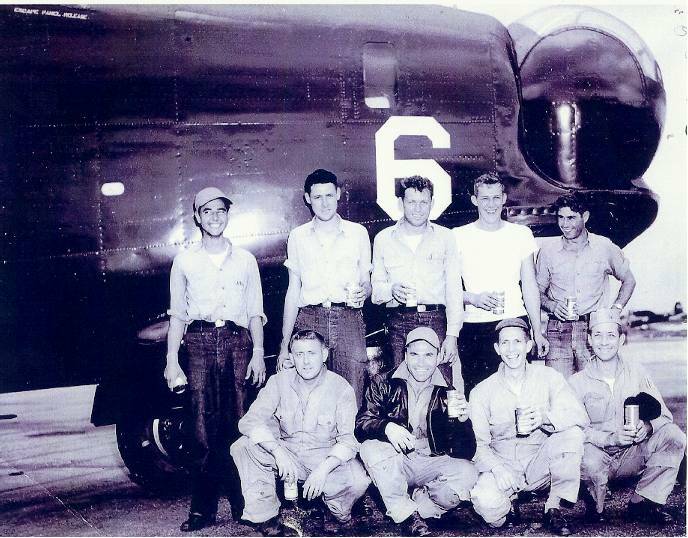 Many of the men had worked the night before to ready the craft for the flight. 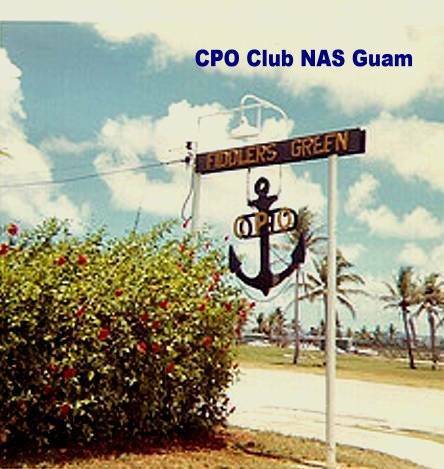 The squadron’s willingness to assist in any possible way and their unselfish contribution of time and effort has won them the thanks of both military personnel and civilians in the Guam area and a “well done” from Commander Naval Forces Marianas. 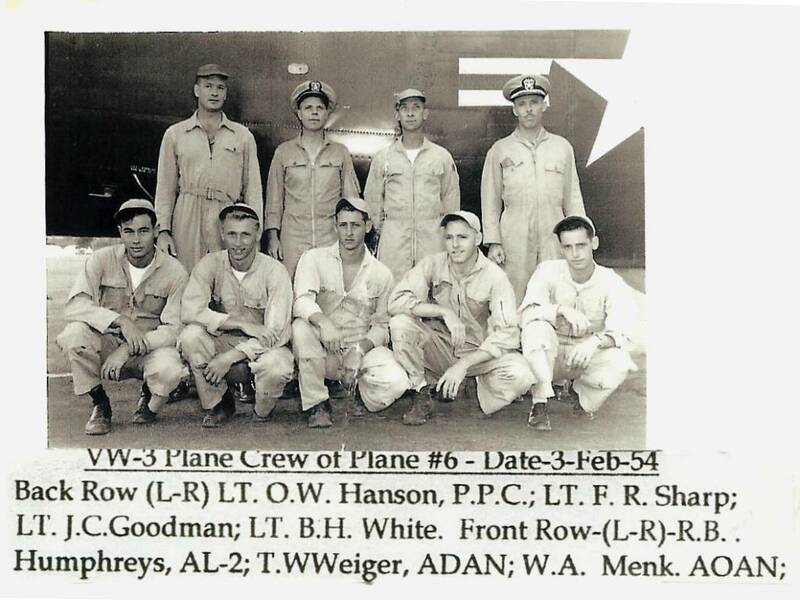 This was the aircraft lost with nine men aboard. Note the five "Typhoon Credits"
(wind speed). This [PB4Y] has always been my favorite air craft. 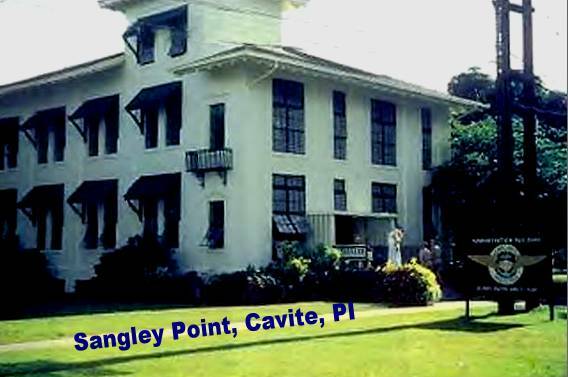 all the bases we might go in to, Sangley, PI, Hong Kong, Okinawa, Japan and others. What you see in that Radar photo was the eye of a typhoon on October 12, 1952. As the Radar operator I was the only person who could actually see the eye of the storm. It was impossible for the Pilot and Copilot to have any idea how far away the eye actually was. 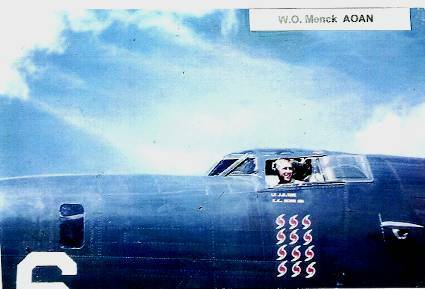 The visibility looking out the windows disallowed us to see anything, so the pilot and copilot had to fly by instruments. So it was my job to basically guide the pilot with direction and distance to the eye. The weather man and the pilot could tell the intensity of the wind which we kept on our starboard side, as we let the wind blow us into the eye. 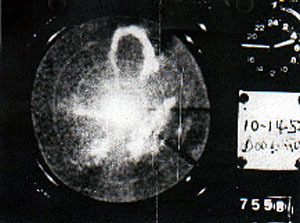 We had a large camera attached to the radar scope and we would put our name and date on the card by the camera. 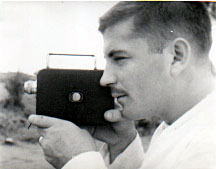 When we got back to base the Photo lab would print up the photos for evaluation by the squadron commanders. The photo lab people managed to send me a copy of this one. As you see the eye was not a perfect circle but was elliptical, and this eye if I recall correctly was about 10 miles long and 6 or 7 miles across. That depending upon the wind could mean that the total typhoon could be 75 to 100 miles across, and the winds were probably well over 100 knots. I remember seeing eyes that were 25 to 30 miles long and some were actually circular. Although we went in at 1500 foot altitude while we were in there we could be bounced around down to 200 to 300 feet and in seconds be bounced up to 3,4, or 5000 feet. 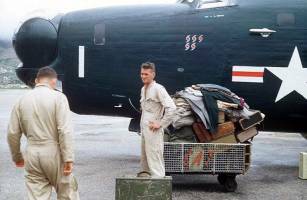 Everything inside the plane had to be wired and locked down, and still the heavy radio and radar and loran gear or fire bottles or sonar gear could fly loose, so although we had seat belt keeping us in our seats we still had to grab gear that was floating around. 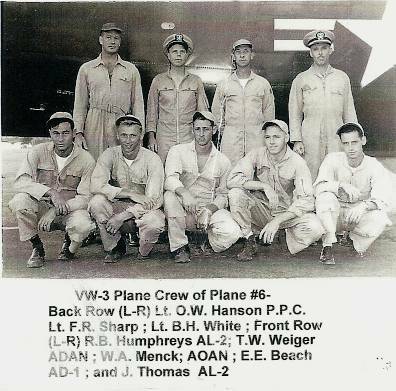 As a nineteen or twenty year old it was our job, and I never at the time gave it a second thought about the danger, that is until we lost our Number 1 plane. Knowing what I know now I would never do it again. from the Base Radio when the accident occurred.